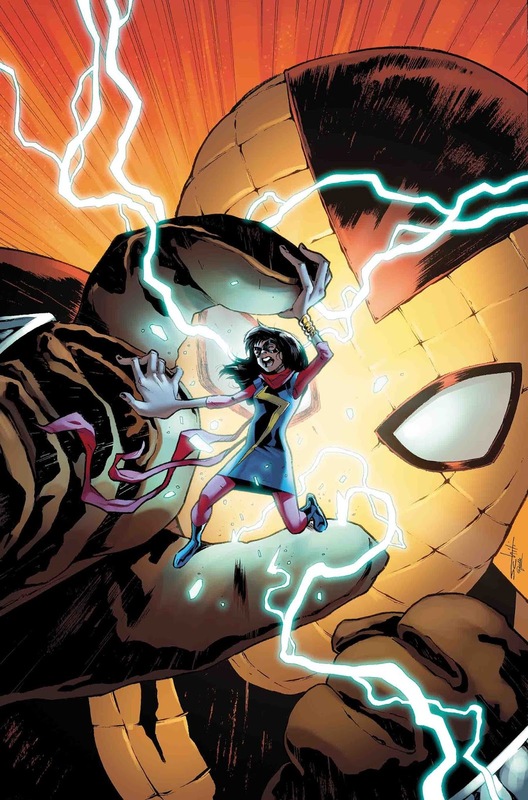 The Marvel solicitations for October 2018 have been published, and there are plenty of SDCC announcements coming to fruition before our very eyes. 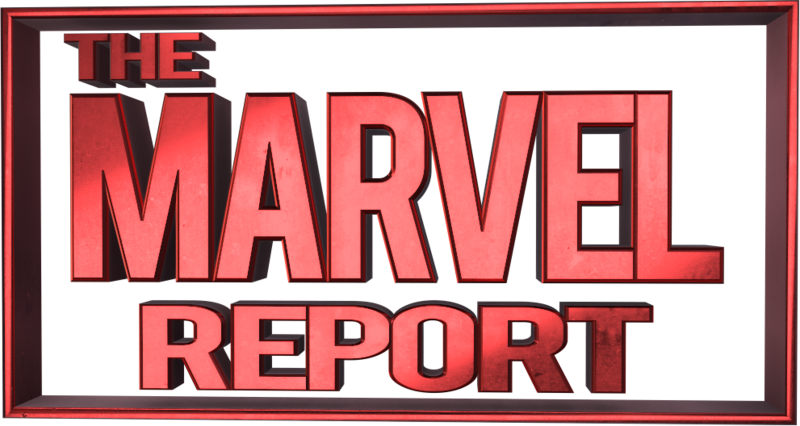 Which means, of course, that the Marvel Reporters once again gathered to discuss our thoughts and feelings about the newest titles. 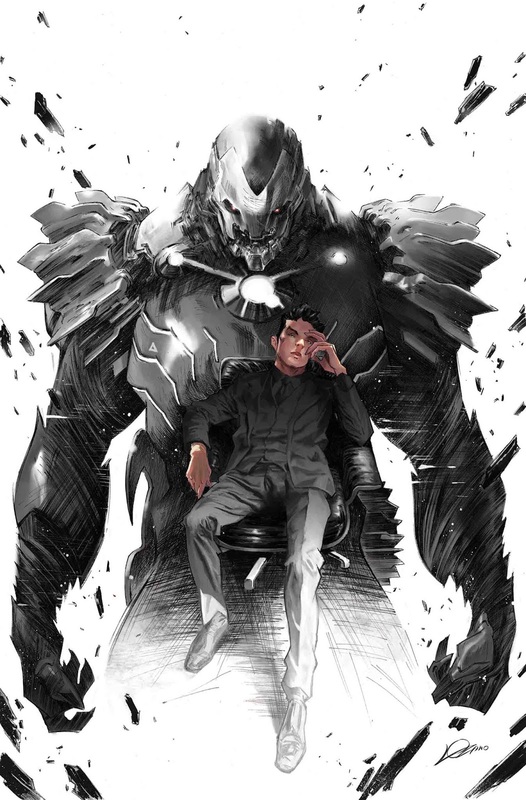 Check out the full list over at Comic Frontline before checking out our opinions, and be sure to let us know how you feel about all the latest arcs, events and characters in the comments below! 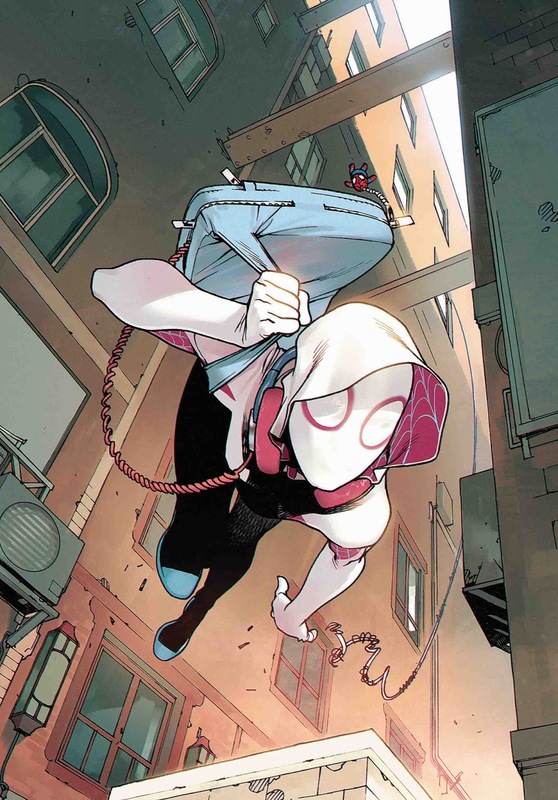 Jay: Spider-Verse was cool and gave us Spider-Gwen, but do we need a sequel already? I don’t know, but I do think this will be fun. 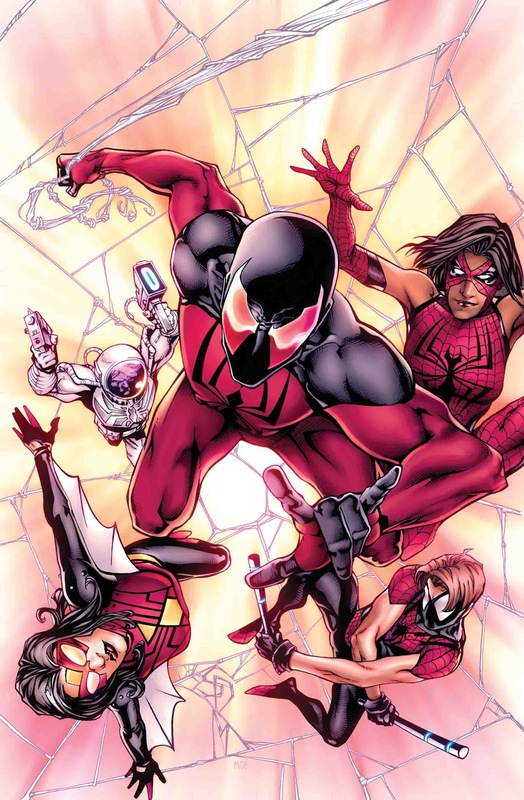 Just a warning, though: don’t F*@# with Ben Reilly or Kaine! Leave the Clones ALONE! Kat: I’m ready for this!! Give me all the Spider-People! Tatiana: Christos Gage, Dan Slott and Jorge Molina together means I’m onboard. Plus, I’ve always enjoyed large-scale Spider interaction. Especially because I only read a few solo titles, and none of the recent main-universe Peter Parker ones. Oops? Louis: I loved the original Spider-Verse. 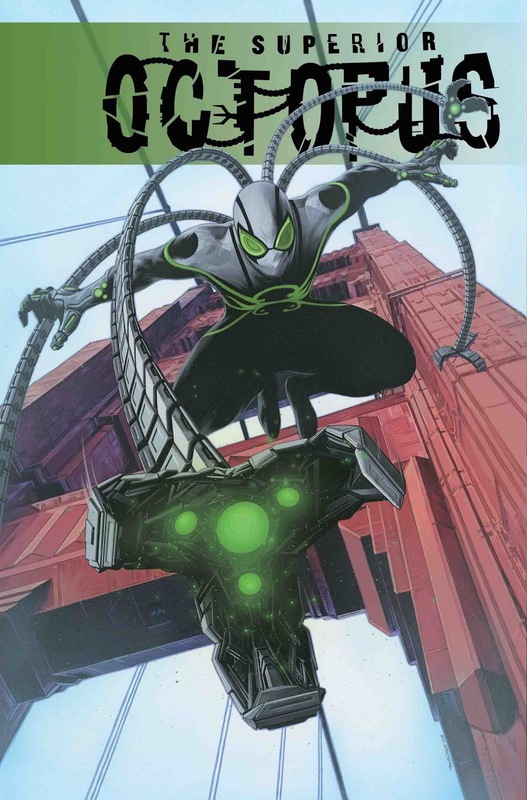 Plus this will be written by Christos Gage and Dan Slott, so that’s another reason to get this. 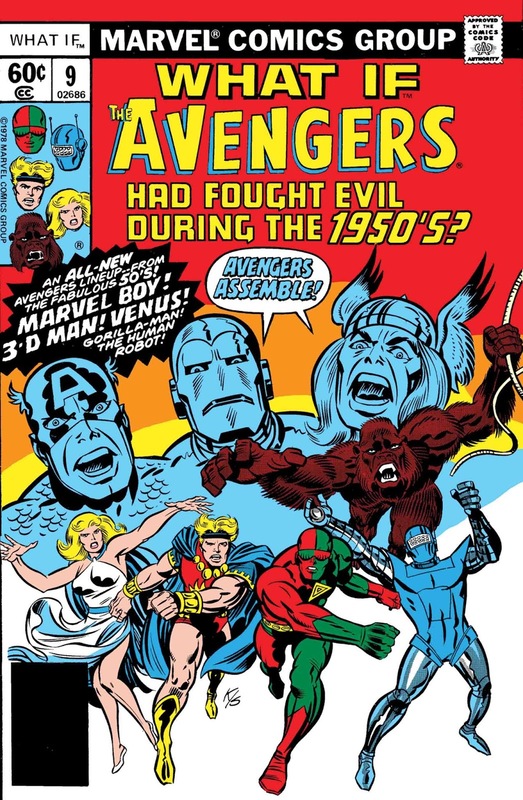 However, some comic book event sequels usually aren’t as successful as their predecessors so I’m still skeptical. 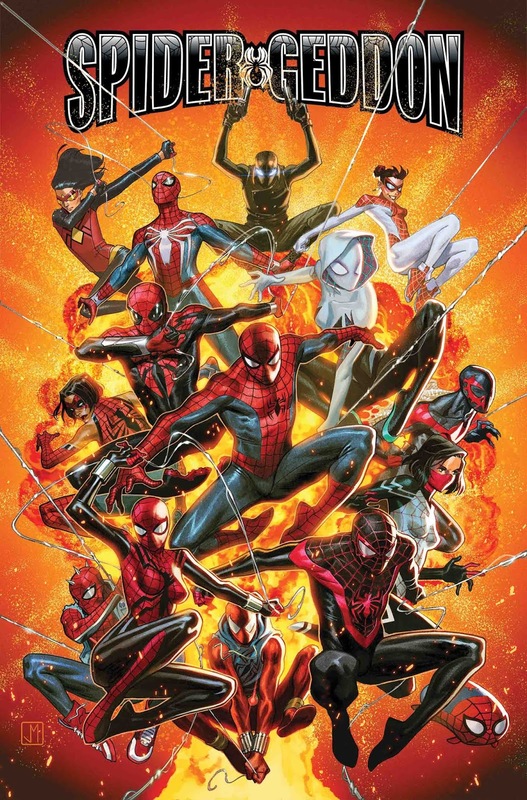 Jay: This is what I liked about Spider-Verse the most, the addition of the new characters. 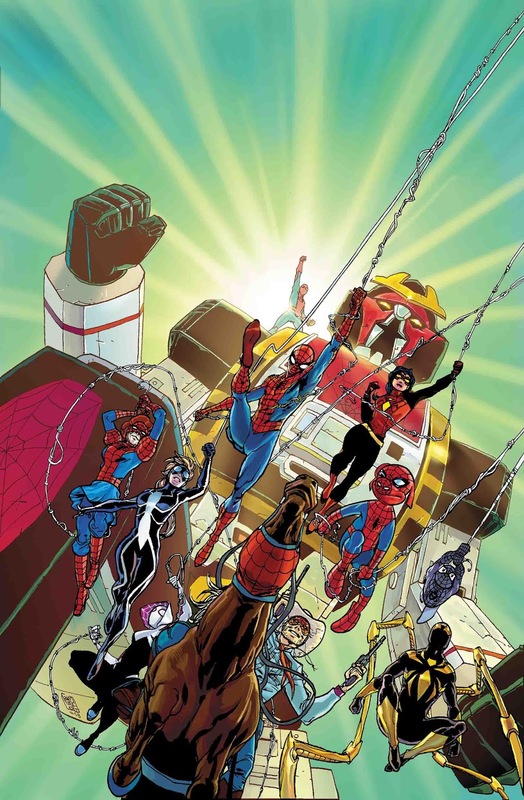 Could Astro Spider be John Jameson? I LOVE Spider-Kid! He just looks AWESOME! I need to know who he is! Please let him be either Ben or Kaine’s son! Tatiana: Christopher Priest is another writer I greatly enjoy, and I look forward to seeing Kaine team up with Spider Woman. Now if only Jessica Drew could get her solo title back, because I’d be all over that. 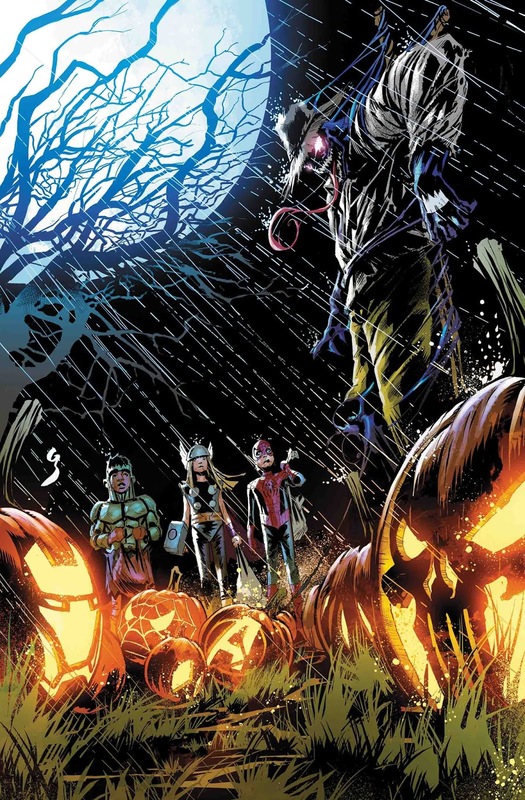 Jay: I am hoping we get to see some new cool Spiders here as well, but seriously how cool is Spider-Kid? Tatiana: Normally I would skip this one, because too many spin-offs of an event is the quickest way to drive me away. But since it’s only two issues, I will give it a shot. Jay: This could be so great. M.J. just told Annie about losing the baby (which is the baby that Mayday’s What if story originated from), so I can not wait to see them interact. Could Renew Your Vows delve deeper into this? Kat: My GIRL is back! I’m going to be getting a copy of this…or five. I love my Mayday! 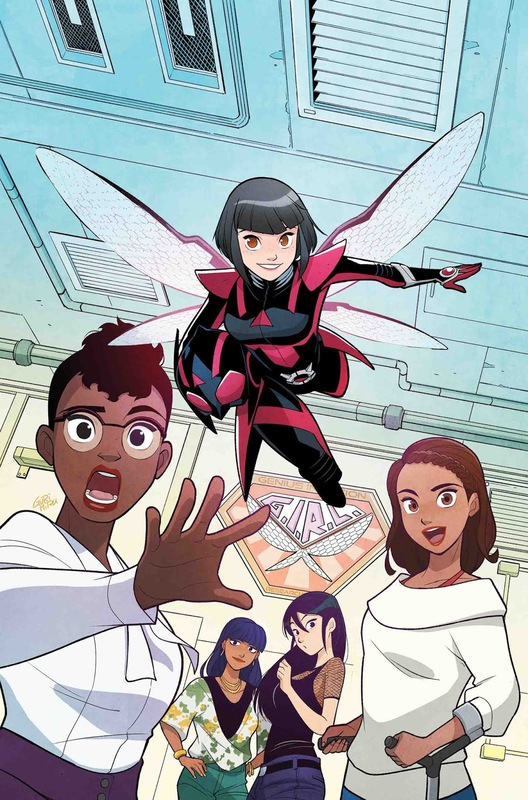 I’m also interested to see how she will interact with Annie (she’s kind of like her sister) and Anaya (a hero with the same name-sake). Tatiana: I’m emotional just thinking about this team up, honestly. I miss Mayday so much, and I can’t wait to see Annie’s reaction to her. Jay: I dislike the new name. 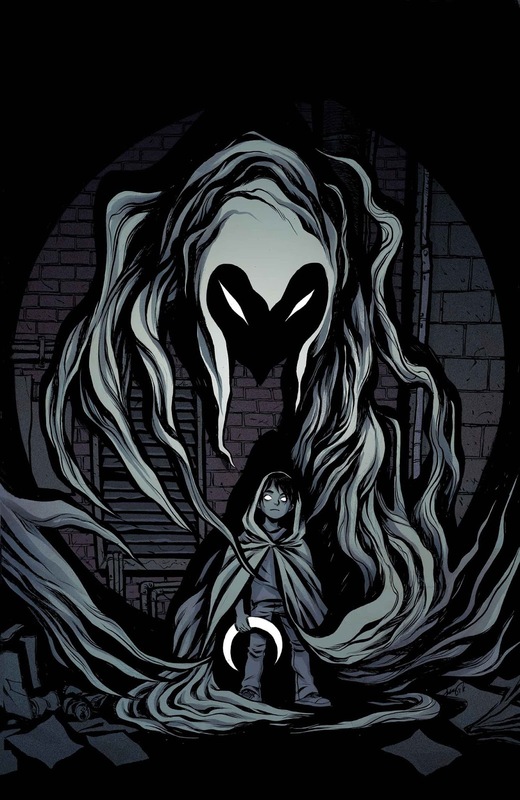 No one is ever going to call her Ghost Spider, they are going to call her Spider-Gwen until the end of time, and she owned the name in the final issue. Why change it now? Kat: I’m glad we won’t have to wait too long for new Spider-Gwen, I’m very curious to see why she will be calling herself Ghost Spider. Tatiana: I agree that a name change seems unnecessary, not to mention that an AKA makes the title look clunky. 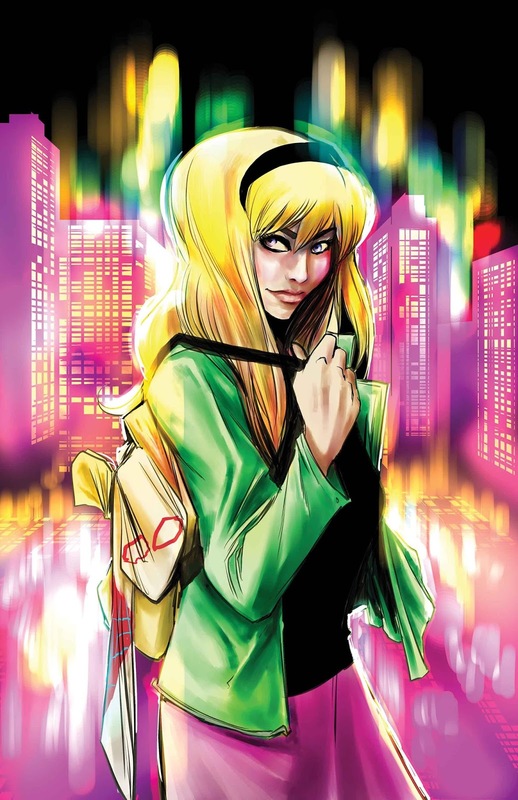 But I’m fully invested in Spider-Gwen knows and will follow her wherever she goes. Jay: I haven’t been liking this title, but this sounds good. Tatiana: I don’t know here, and I’m not sure what it would take to get me here at this point. Jay: Can Otto be the Superior Hero he claimed he was? I dug the Superior Spider-Man story so looking to see how this shapes out. 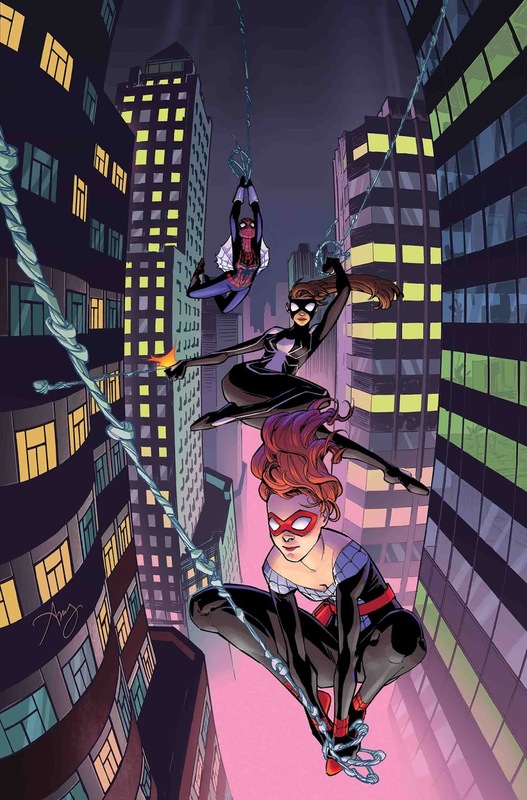 Tatiana: Another Spider-Geddon tie-in, but I’m glad to see more work by Christos Gage. Louis: Doc Oct had some pretty awesome stories these last couple of years. Also this series is written by Christos Gage, so I’ll give the first issue a try. Jay: I love holiday specials, bring it on! Tatiana: Not going to lie, I’m a little excited to see Jay Baruchel’s comic writing debut. Jay: Ok, I enjoyed the Black Panther movie as much as the next guy, and I loved Shuri in it, BUT this is not the Shuri from the comics! I hate how much influence the movies have on the comics now. How about instead of saying she is like that, play off of her death and all as the reason why she is more of a lab rat now. She premiered in the comics by challenging her Uncle for the mantle of the Black Panther, but found out T’Challa already did and won. Leave the comics and the movies separate!!!! Tatiana: Shuri ruling Wakanda and taking care of the homefront while T’Challa is lost? Sounds right up my alley. 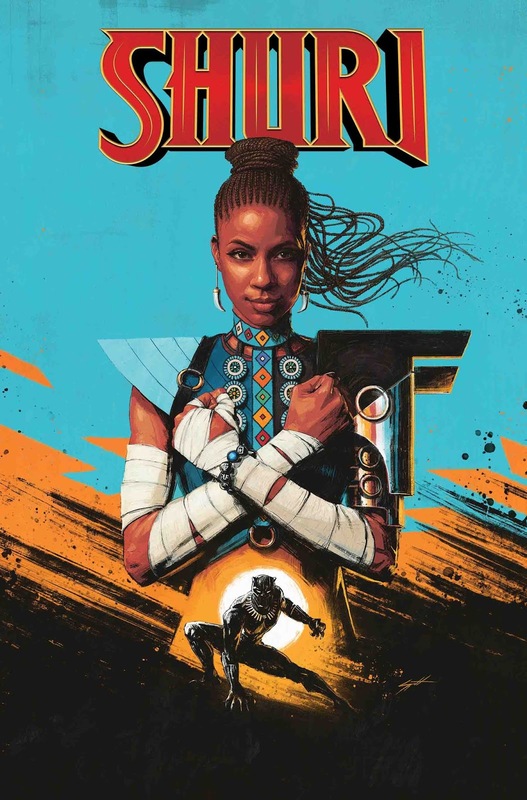 Although I do agree that her personality doesn’t need to be shifted to fit the movie more, because this story would work for the Shuri we’ve previously read as well. Jay: Not really feeling this event, I hope it far exceeds my expectations. Tatiana: There’s only so many big events I can handle at one time, so I think I’m just going to have to let this one go. Josh: I have been on this since they began releasing the Countdown saga. I plan to see it all the way through. 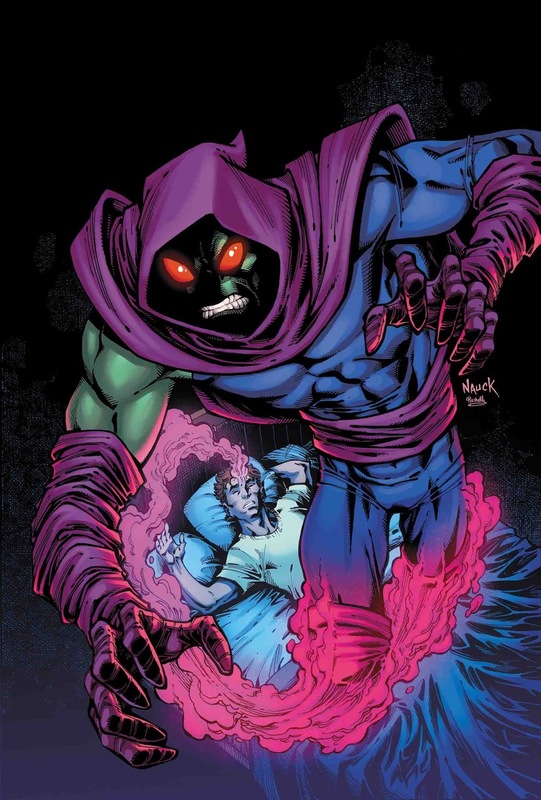 Jay: Could be cool, Sleepwalker is a character either you love him, or you don’t know him LOL. Tatiana: I am the one who doesn’t know him, lol. Josh: I don’t know much Sleepwalker or the role he will play against our heroes, but I love these little side stories. Jay: This I will admit sounds good. Tatiana: Not going to lie, I probably won’t read it. But I am duly impressed by the description. 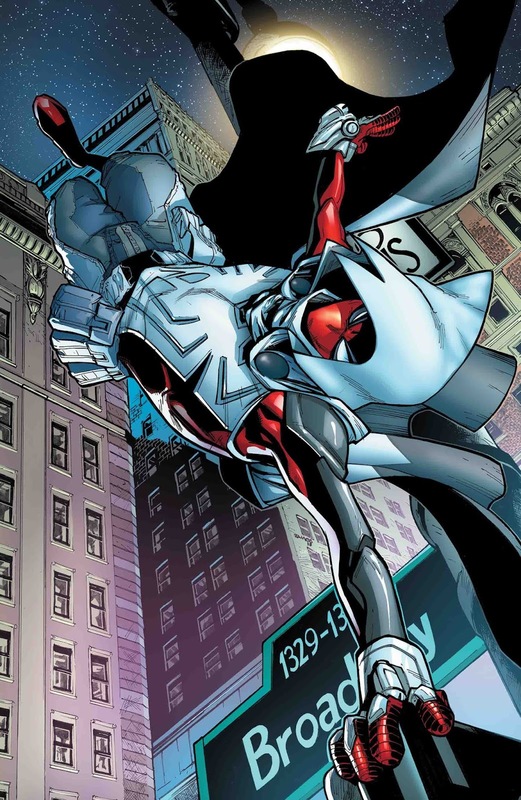 Josh: Spider-Man crossed with Moon Knight? Yes, please. 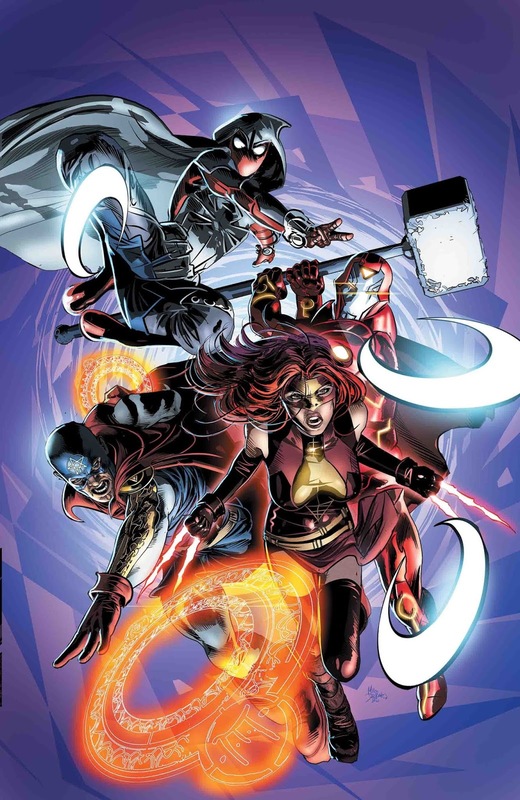 The way Marvel is doing a blended mix of heroes has my interests piqued in a big way. Jay: Not feeling this one honestly. Tatiana: I’m not against the concept, but the description didn’t pull me in. Josh: Stark Odinson is enough to get me involved in this series. 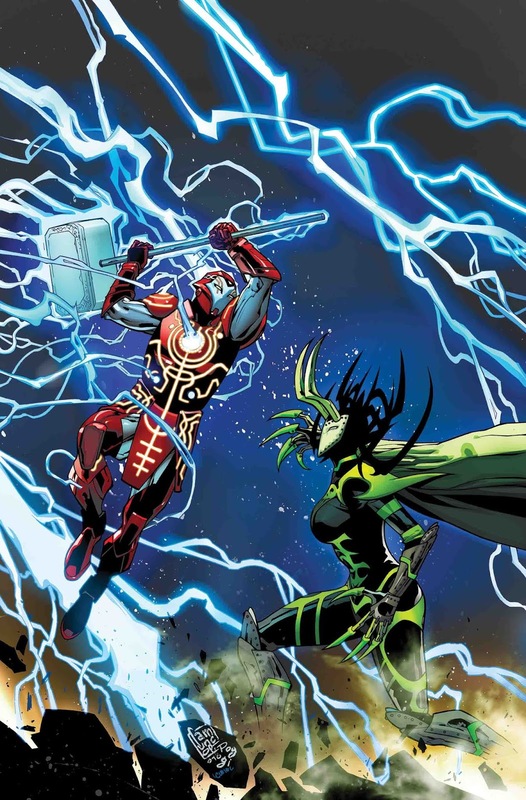 A fight against Hela to go along with this story? You couldn’t keep me away if you tried. Jay: This could be really great or really bad, I don’t see a middle ground for it. Tatiana: I tend to avoid Doctor Strange stories in general, but I may check this one out just to see what mixing with Captain America does for him. Josh: Steven Rogers crossed with Stephen Strange? 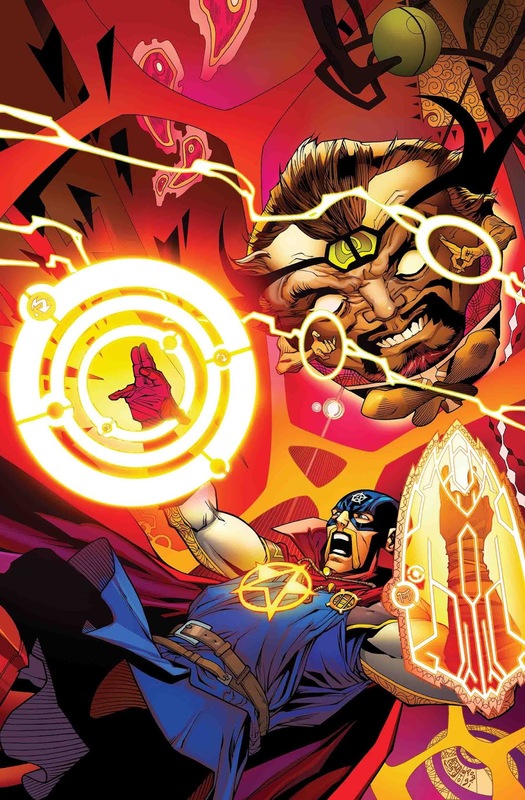 These Infinity Stones are creating must-read crossovers that we may never see again. 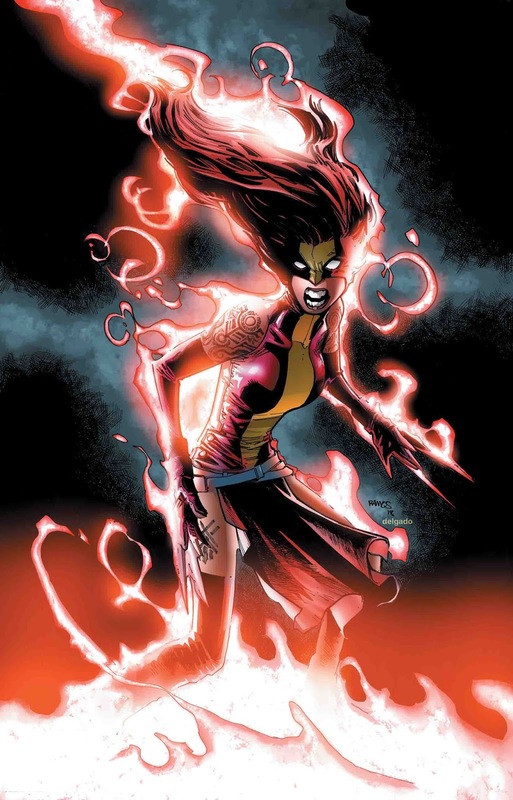 Jay: Sounds more Scarlet Witch than X-23. Tatiana: Wanda and X-23? Color me intrigued enough to try. Josh: What do you get when you cross the deadliest weapon on the planet with the deadliest sorcerer on the planet? The Weapon X program intends to find out and will make sure it’s tested on Wanda. Jay: Really, is there a doubt? 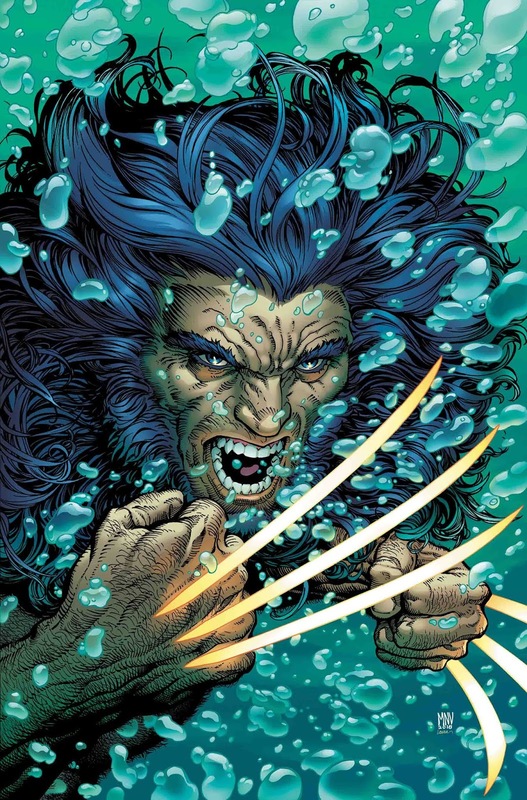 Tatiana: At this point, the status of Wolverine inspires but a yawn in me. Josh: Wolverine back in the MCU? His death was fun. The hunt for his body was even more fun, but his return is going to be downright ruthless. Tatiana: I really enjoyed Nadia’s previous run and her friendly neighbourhood scientists, so I’m game for another run. Plus Gurihiru art is my favorite! Josh: The Wasp is one of my guilty pleasures in Marvel. I’m very much looking forward to Nadia, Janet, and the Agents of G.I.R.L. taking on AIM. Jay: So you have to read all 5 of these to get the Apocalypse story, and who in the hell asked for a Mojo book? Show yourself! Kat: Emma Frost is my most anticipated of the X-Men Black titles. I’m guessing these are one shots that are all leading up to Uncanny X-Men’s relaunch. Tatiana: Mystique and Emma Frost are the only ones that appeal to me. Louis: Chris Claremont is one of the most well known X-Men writers. 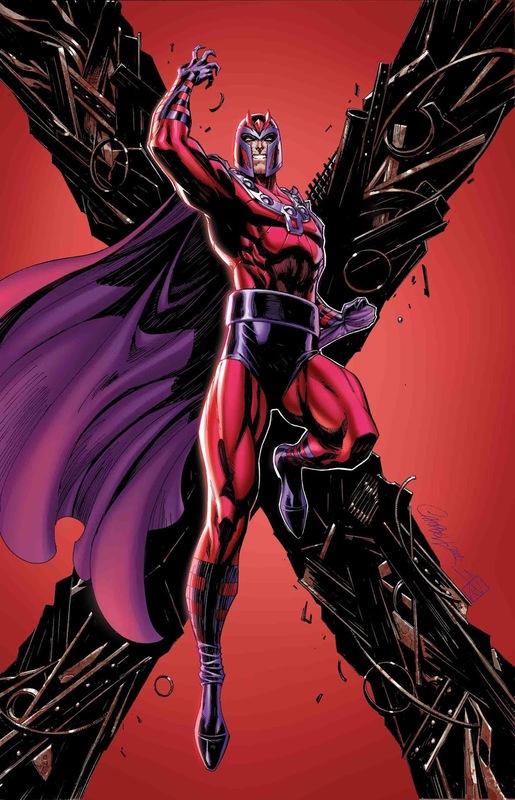 He’s responsible for seeing Magneto as a morally grey character instead of another bad guy. I’m definitely picking this up. 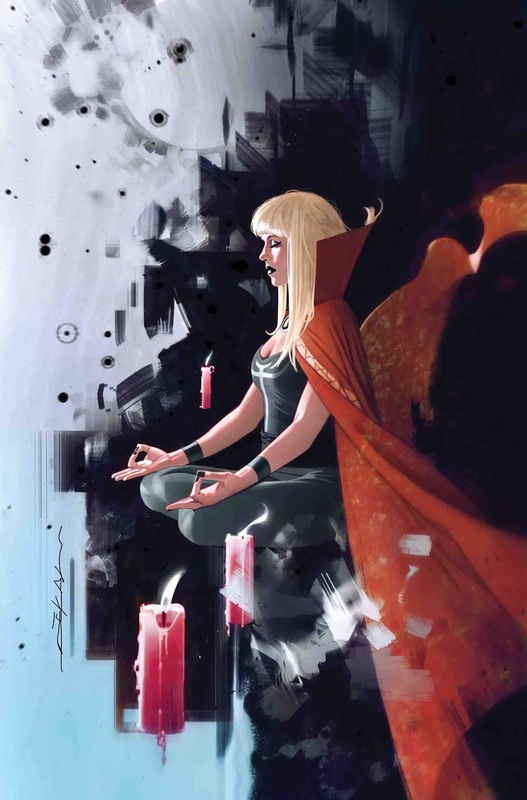 Jay: I think Magik is a character you can do a lot of What If? books with since she was in Limbo for so long. X-Men doesn’t really grab me. Thor? I like this twist! Switching up this brother dynamic is a really cool idea. Ghost Rider? ZZZZZZZ Spider-Man? Yes! Sign me up! I NEED this book! R.I.P. Flash! The Punisher is something that just looks awesome! That suit does too! Kat: I’ll be picking up all the What If titles besides Thor and Ghost Rider. 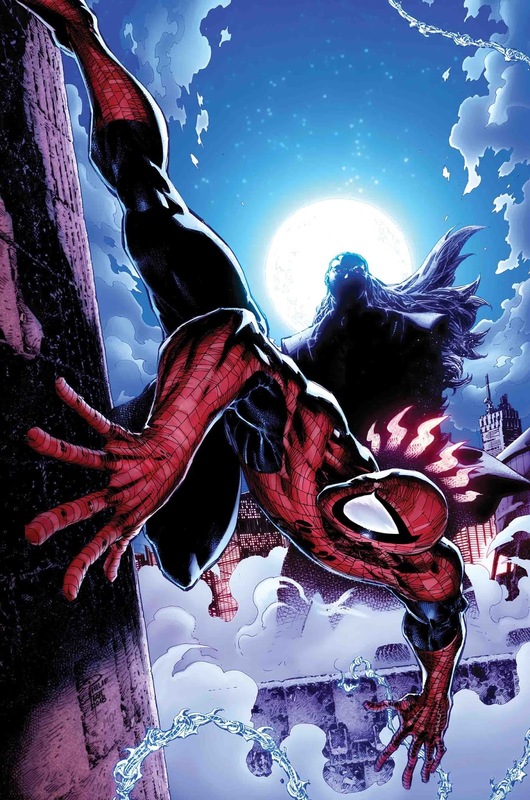 I’m especially excited for the two Spider related issues. Tatiana: Magik and Ghost Rider are definitely calling to me. Josh: X-Men: Bryan Edward Hill is one of the nicest dudes I know and he is very passionate about the work he brings to life. 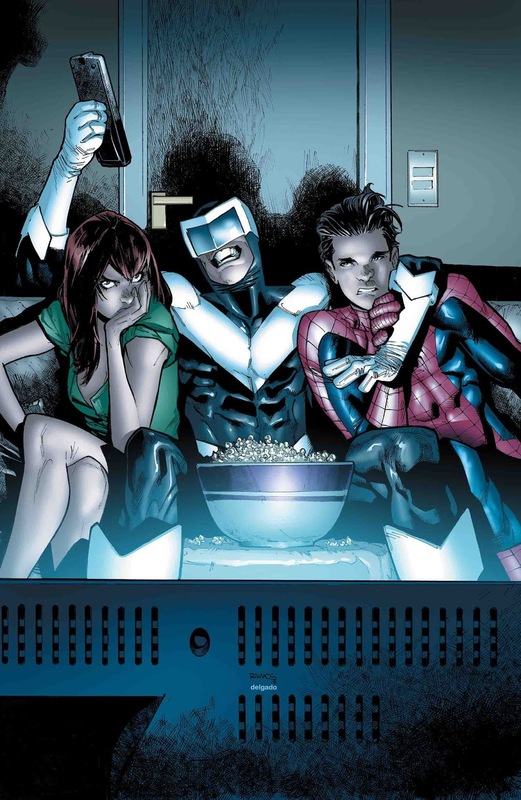 I’m eager to read his X-Men story involving Domino and Cyberpunk. Spider-Man becoming the Punisher? Yeah, I am totally in on this one. It’s always felt like Parker was one bad day away from becoming Castle, now we see what happens. Louis: Does anyone know what’s happening in Ghost Rider? I’ve read the description like 3 times and it still doesn’t tell me anything about the story. The “What If Flash Thompson” story has been done twice. However I’m still going to pick this up because it’s written by legendary Spider-Man author, Gerry Conway. I really like the concept of Punisher and I want to know why Peter became a less friendly neighborhood Spider-Man. Jay: I love the What If? 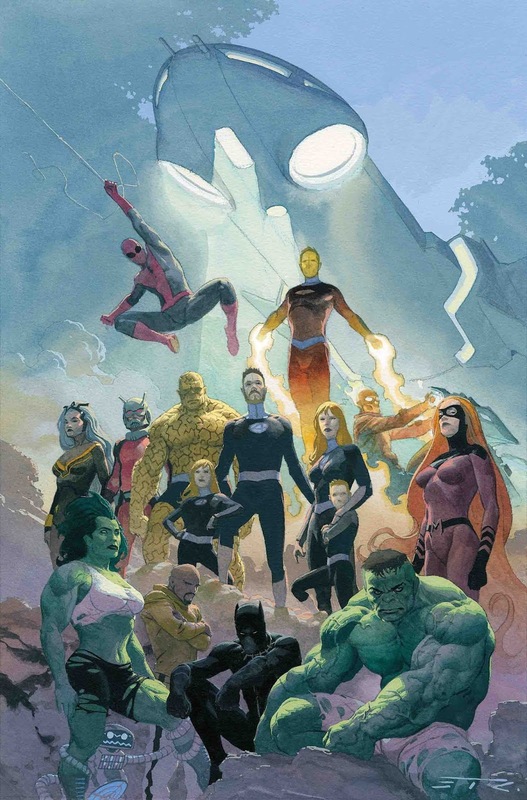 books, I hope the new titles and the True Believers does well so we get more! Interesting how some of these have happened in the comics lately. Tatiana: These throwbacks are a lot of fun, and I’m glad Marvel is sticking with them. 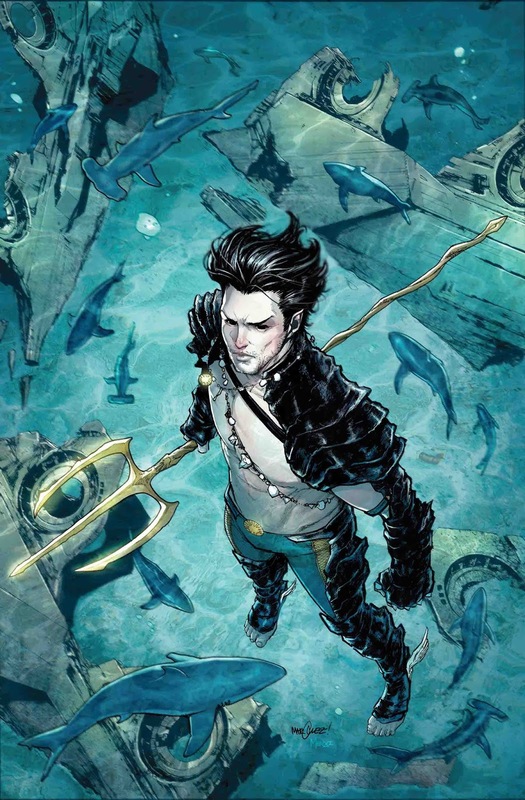 Jay: I like the Sub Mariner, so hope to have this redeem him in the comics some, he has had a rough few years. Tatiana: I’m interested in what this team will do with Namor. 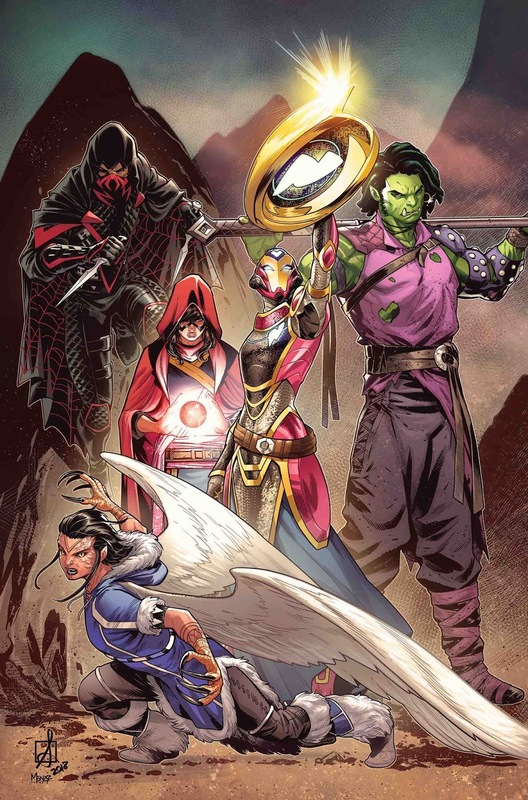 Jay: Jim Zub has made me love the Champions again! I am on board no matter where he takes us. Tatiana: This series is a lot of fun and has yet to let me down, so I’m ready for more. 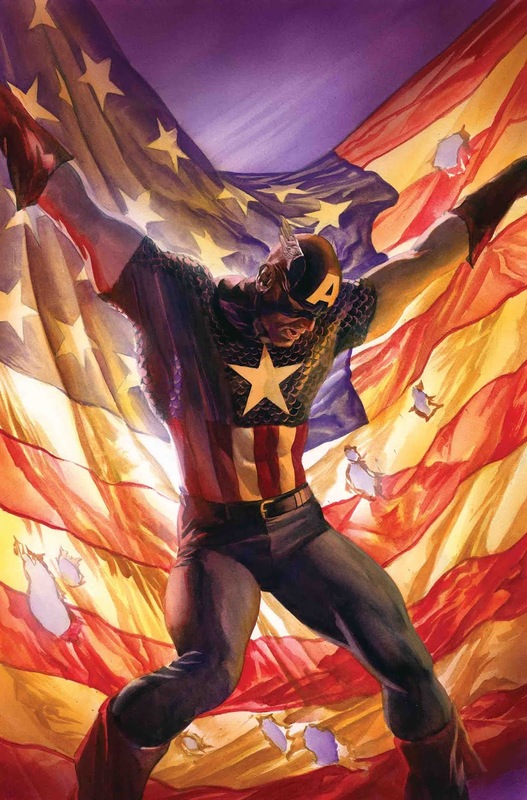 Louis: Taskmaster is a cool villain and a great matchup for Captain America. Jay: I never liked Arno, but looking forward to see where they go with him, hope he isn’t the new War Machine. Louis: Hey, remember Tony Stark’s adoptive brother? Me neither! I only know about Arsenal from the Avengers Assemble series, so I’m a little curious about how he’ll play out in the Iron Man comic. Kat: With the news of her being in Iron Fist Season 2, we know why we are seeing this series. 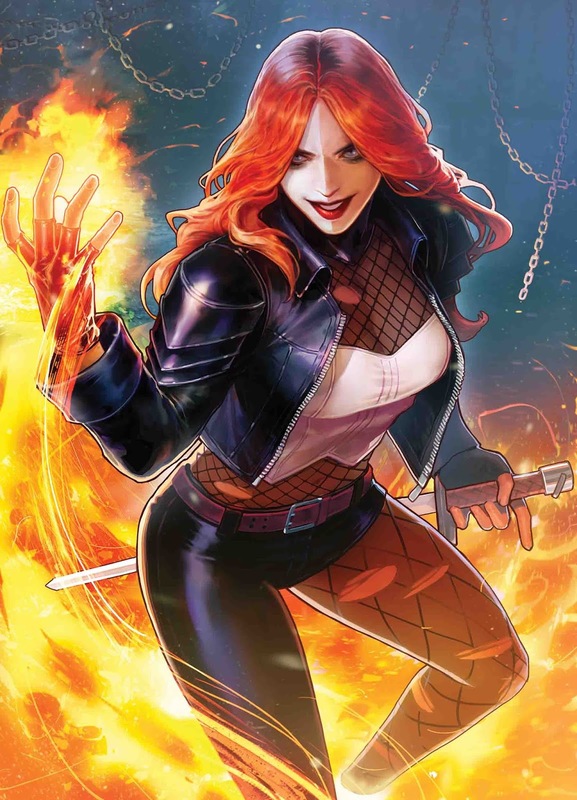 Tatiana: I’m interested enough in Typhoid Mary to give this a go. Jay: I am still cautious with this run, but so far I am loving it. Kat: I LOVE this cover!! Can’t wait to see some roommate antics. Tatiana: Mary Jane is why I’m here, but Boomerang sounds fun too. Louis: Sounds like if you ever had a horrible roommate, #7 is for you. Also it’s another reason why Spider-Man is the most relatable Marvel hero. There’s another thieves guild in New York? Sounds like this could lead to an appearance from the X-Men’s Ragin’ Cajun, Gambit. Jay: YES! YES! YES! YES! I NEED THE FANTASTIC FOUR IN MY LIFE!!!! Can you tell I am excited for this book? Tatiana: Family reunions and guest stars galore? It’s all I’ve ever wanted. Louis: Sounds like anyone who’s been on the FF is making an appearance. This could be a great opportunity to see some old FF supporting cast members. 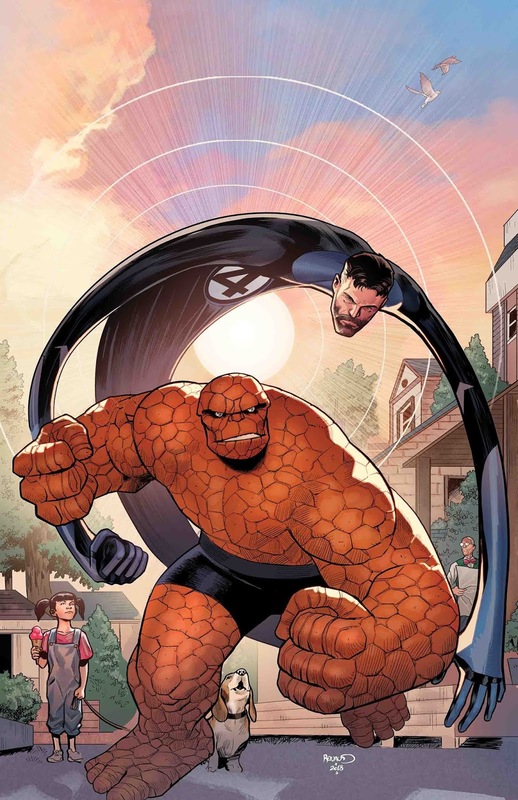 Jay: A bromance issue of Ben and Reed? I am in! Kat: I like seeing other Fantastic Four members teaming up together for this series, makes things fresh. Tatiana: It makes sense to switch the pairings up, and I hope they branch out beyond the main Fantastic Four and bring in supporting characters and other guest stars. 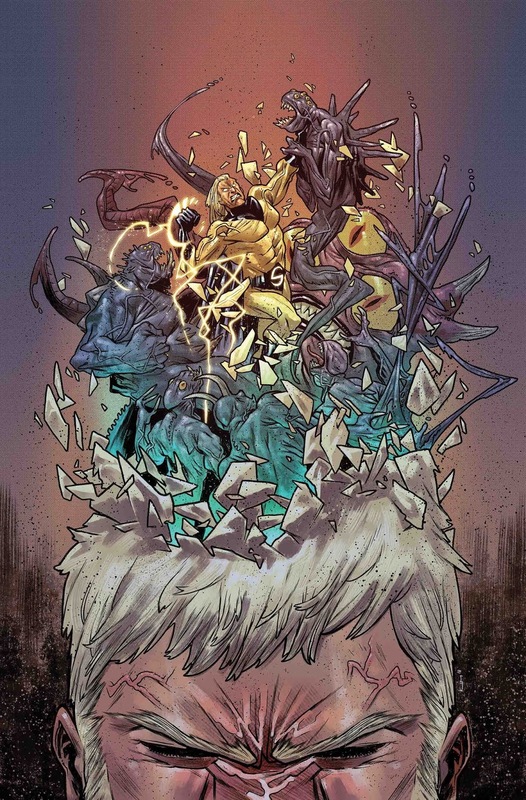 Jay: The Sentry is a cool character and i like the twist they put on him this time, so looking forward to it. Tatiana: Both the cover and the description are spooky enough to grab my attention. Jay: I wasn’t sure about this series when it was announced but I am totally digging it! Tatiana: Evil doppelganger stories almost always tell us something interesting about the character, so I’ll wait and see what comes of this story. 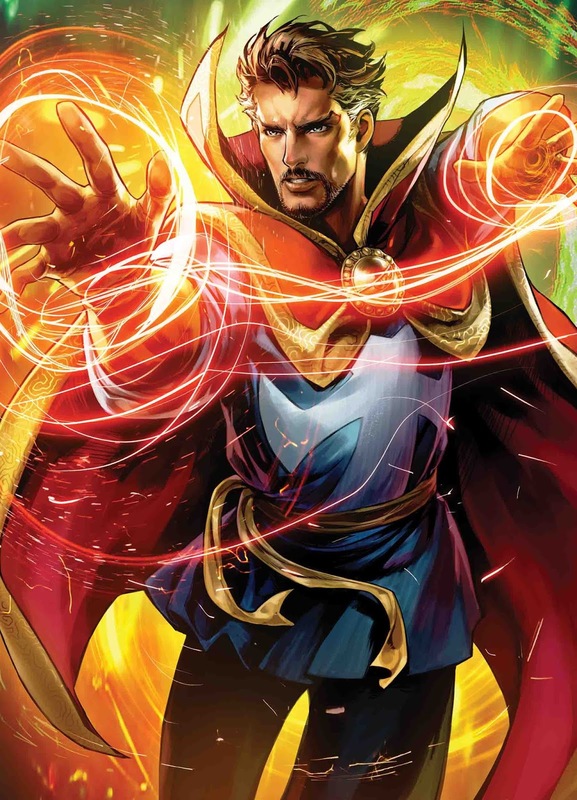 Louis: It might be hard to tell who’s evil since Doctor Strange always has a goatee. Tatiana: I always love milestone celebrations, and this character is a very intriguing one. Louis: Finally! Hope the creative team can bring their A-game. 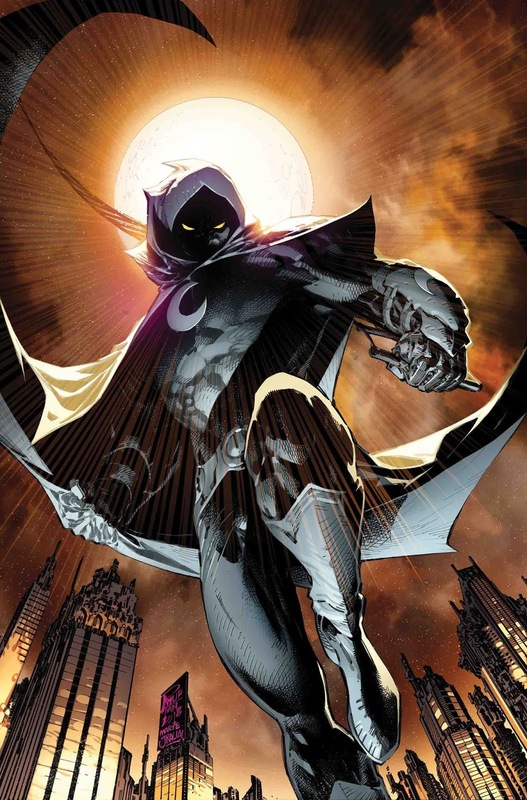 This might be the issue where I either keep Moon Knight on my pull list or drop it. Jay: I am loving Runaways. Can’t wait for this villain to show up and just give me a few of anything else Rainbow throws in! Kat: The villains have been great for this series. I can’t wait to see who this big bad will be. 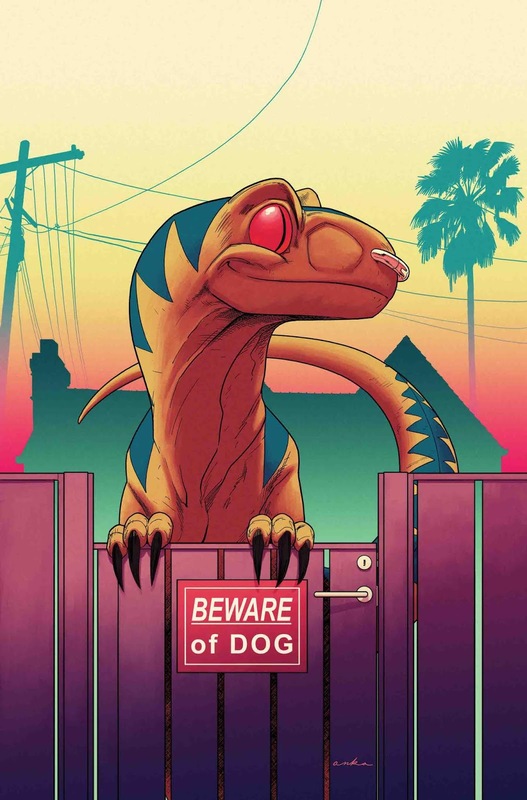 Tatiana: Runaways has been knocking it out of the park, and I’m more than ready for the next arc. Jay: This storyline is still going on? Kat: This arc is going on for longer than I expected. Tatiana: I think I’m the only one who hasn’t noticed the length of this particular plot, lol.